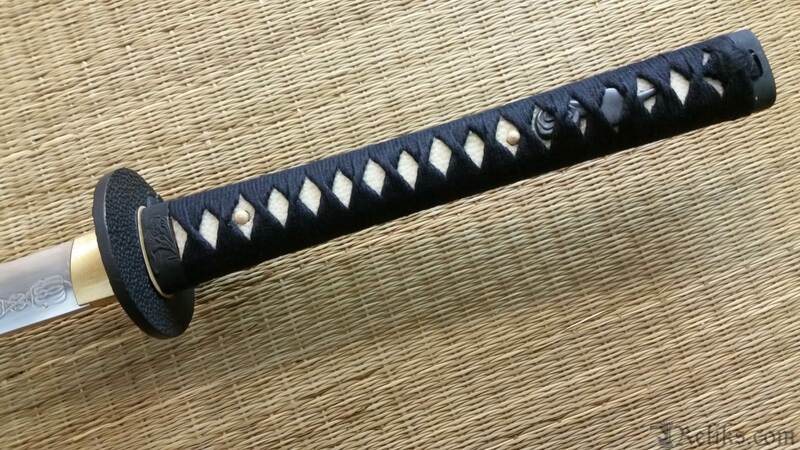 This katana is forged for the beginner in a classic dragon samurai theme. 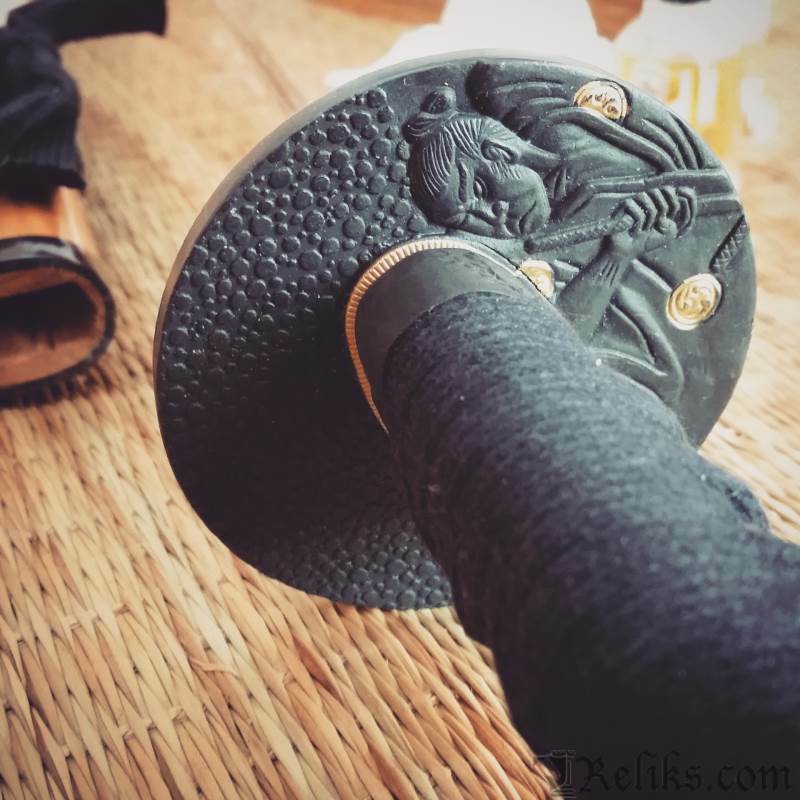 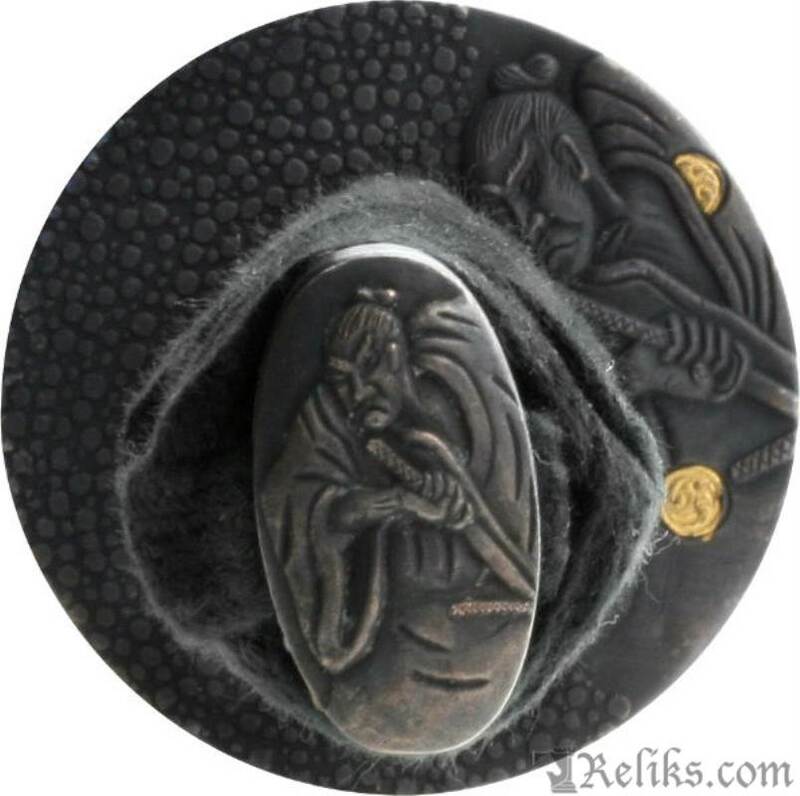 The samurai warrior is depicted on the cast metal tsuba and kashira. 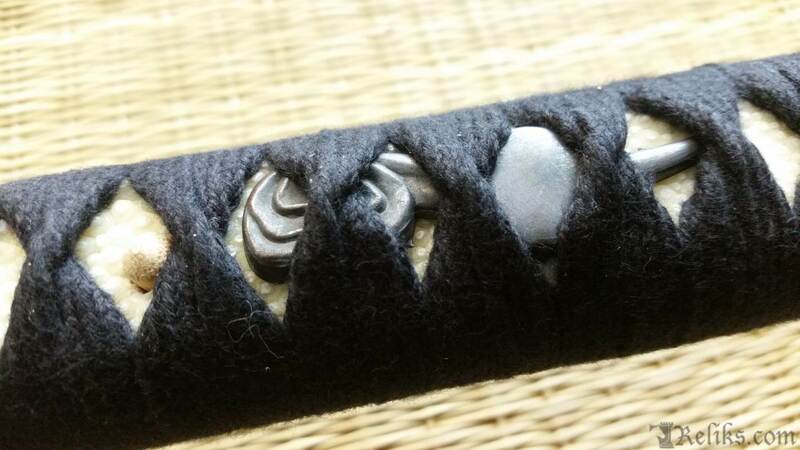 The tsuka is wrapped in a cotton ito over a traditional and genuine rayskin to prevent slippage. 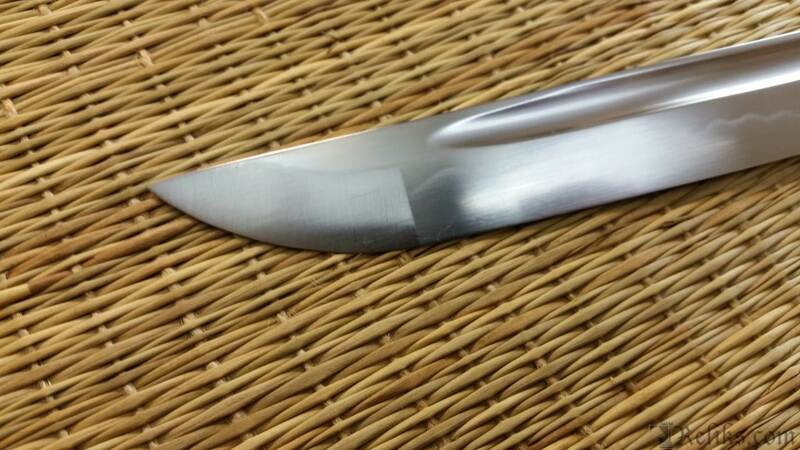 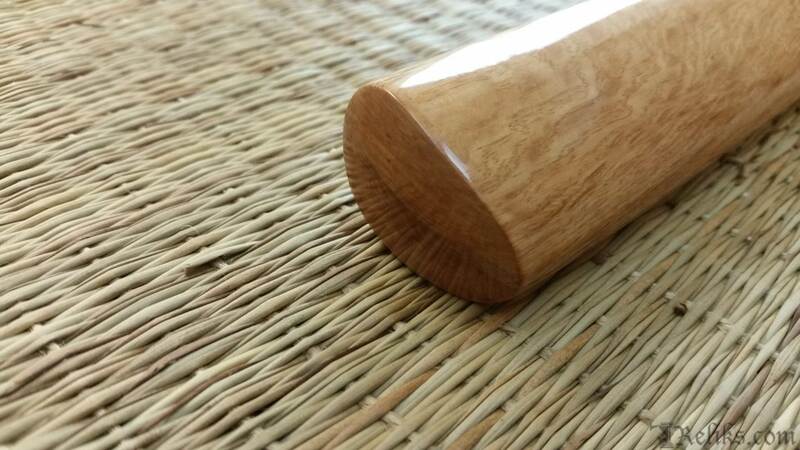 The tsuka or handle has been double pegged to the tang for added safety. 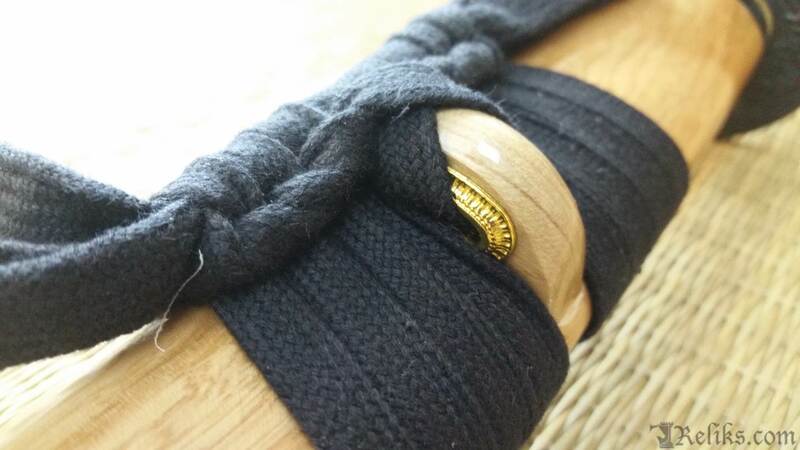 A lacquer finished scabbard with non colour treatment reveals a natural wood look, finished with a matching cotton sageo. 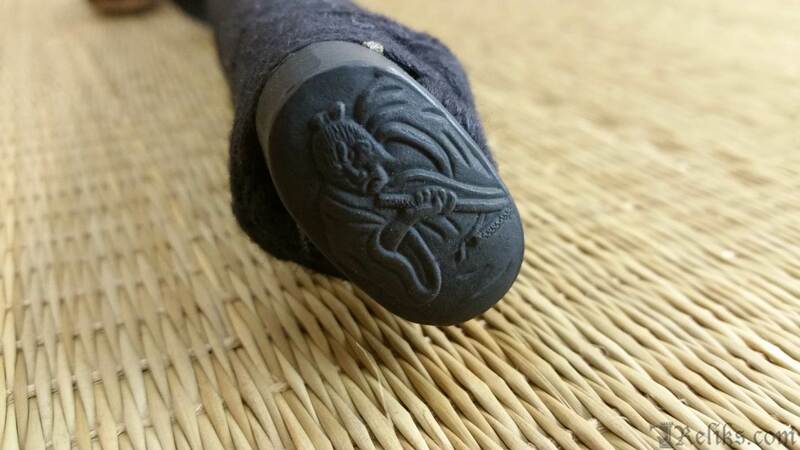 This sword also includes a black cotton bag. 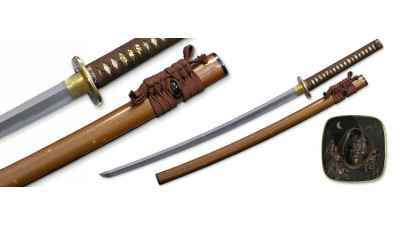 This katana is made with a forged 1045 high carbon steel blade. 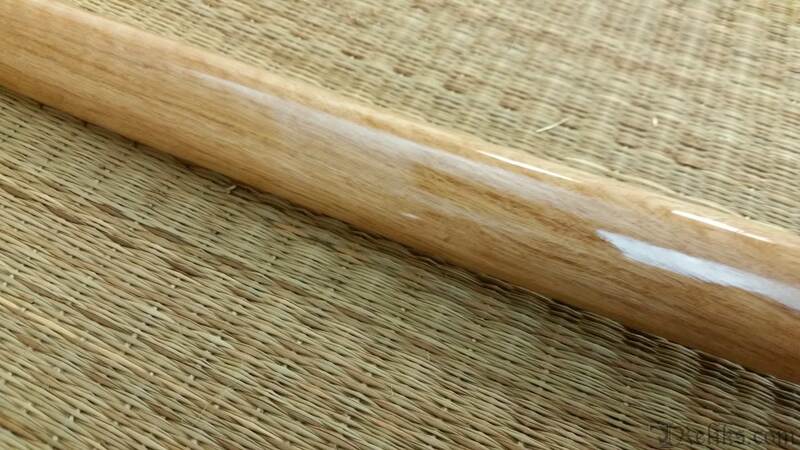 It is made using a non-laminated technique known as “Maru”. 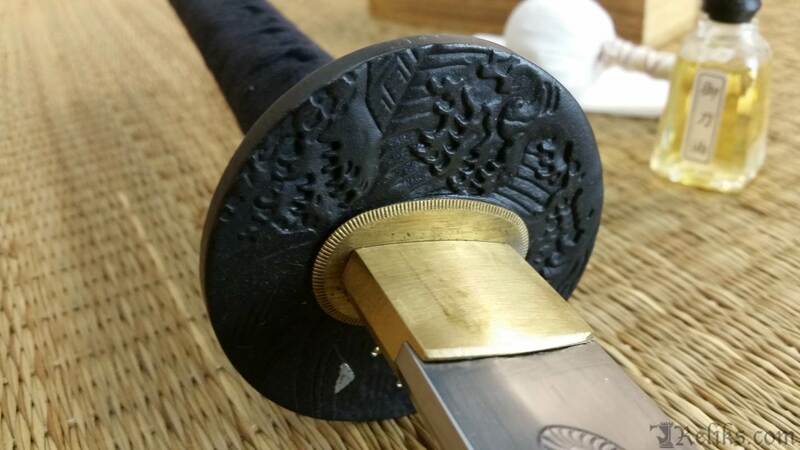 This is the typical way to forge an entry level blade that is not made for heavy martial arts but are still suitable for cutting light targets. 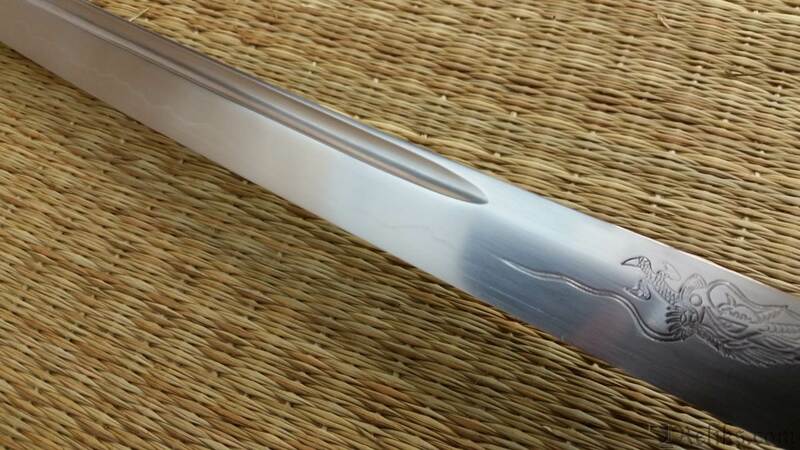 The tang extends to a traditional length which is approximately ¾ of the tsuka length and is often mistakenly referred to as a “full tang”. 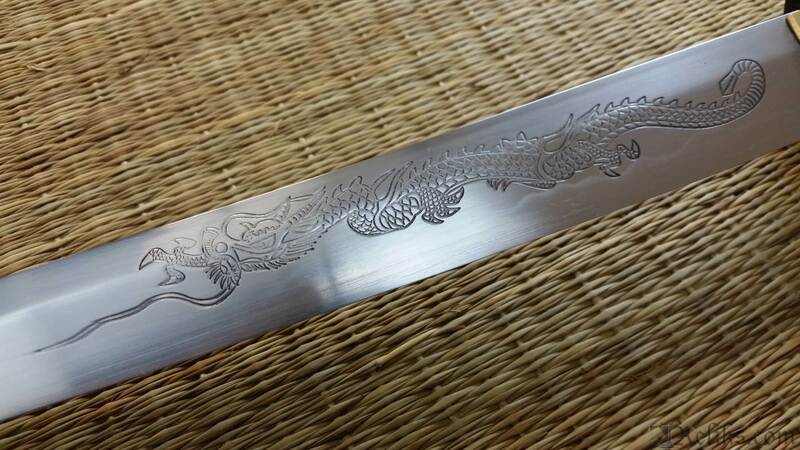 The blade features a dragon horimono or etching to complete the dragon samurai theme. 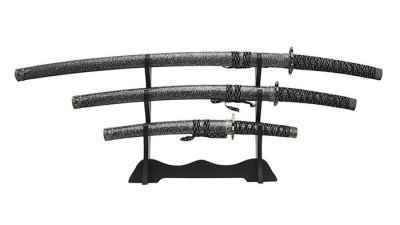 This entry level sword offers a nice balance between traditional and non-traditional elements for a fun economic beginner sword for cutting soft targets. 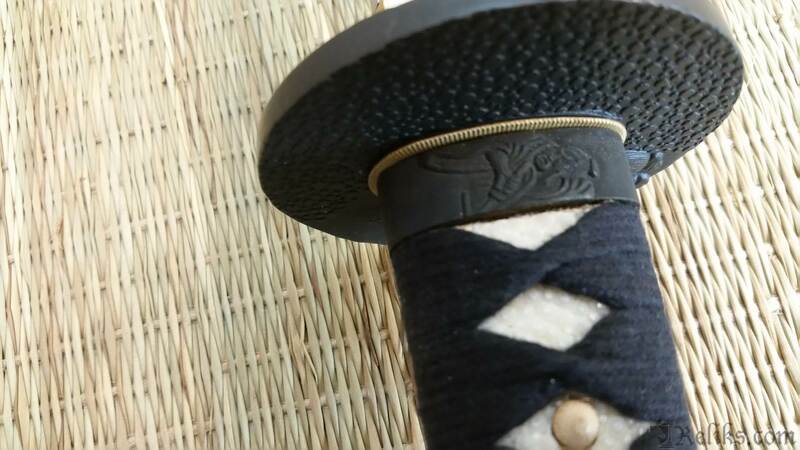 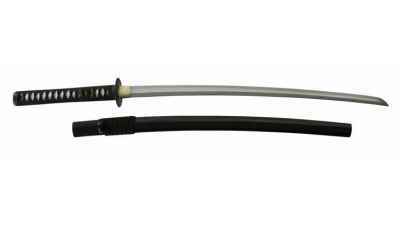 Katana Hi - The "hi" is the groove sometimes mistakenly refered to as a "blood groove"
Dragon Kashira - The kashira shows the image of a samurai warrior.